In this post, I’m speaking to mental health professionals. This is important to understand… there is NOTHING NEW regarding the pathology of an attachment-based model of “parental alienation.” The component pathology of an attachment-based model of “parental alienation” is all well-established and scientifically validated pathology with substantial research support in the peer-reviewed literature. And in the work of psychology’s preeminent figures in family systems theory (e.g., Bowen, Minuchin, Haley). The component pathology of attachment-based “parental alienation” is also amply supported throughout the research literature on attachment, personality disorders, and family systems processes. The ONLY reason it might SEEM new to some mental health professionals is because they are either new to the practice in this domain of pathology, or because they are so incredibly ignorant about the established principles of professional psychology and what is already existent in the peer-reviewed research literature that it SEEMS new to them because of their profound level of professional ignorance. All of the component pathology of an attachment-based model for the pathology of “parental alienation” is well-established in the peer-reviewed research literature and the works of the preeminent figures in professional psychology. It is nothing new. It is only new to mental health professionals who are ignorant of what already exists in the established literature of professional psychology. I would ask all mental health professionals to go down that checklist and identify what type of pathology they disagree with and believe doesn’t exist. If they accept that all the component pathologies listed on that checklist exist, then they are essentially accepting an attachment-based model for the construct of “parental alienation,” as described in Foundations. In Chapter 11 of Foundations on Professional Competence, I list a whole set of literature from preeminent figures in professional psychology and from the peer-reviewed research literature (I’ve appended this list to the Reference section of this post). Read this set of “peer-reviewed” and established literature before you ask me such a stupid question. The pathology described in an attachment-based model of “parental alienation” is not something ‘new” – you are just ignorant. His approach was intellectually lazy and professionally irresponsible. The citadel of establishment psychology rejected his proposal of a “new syndrome” – as I believe they should have. The pathology Gardner identified is NOT a “new syndrome” – it is a manifestation of already understood and already clearly defined psychopathology within professional mental health. I’m not saying that the pathology doesn’t exist. Oh, it very much exists. It’s just NOT a “new syndrome.” It is a manifestation of well-defined and established forms of existing psychopathology that can be fully understood within the standard and established psychological principles and constructs of professional psychology. At least if the mental health professional is competent in the relevant domains of professional psychology; the attachment system, personality disorder pathology; family systems constructs. If, however, you’re an ignorant and incompetent mental health professional who shouldn’t be working with this type of very serious psychopathology, then you likely don’t know what the pathology is. But that’s a ‘you problem.’ That’s not a pathology issue. The pathology is totally understood – but just not by you because of your ignorance. Just because Gardner’s proposal that this pathology is a “new syndrome” isn’t correct, that doesn’t mean that he didn’t accurately identify the existence of the pathology, only that his definition of it was inadequate. It’s not a new syndrome, it’s the trans-generational transmission of attachment trauma from the childhood of the narcissistic/borderline parent to the current family relationships in the schema pattern of “abusive parent”/”victimized child”/”protective parent,” mediated by the narcissistic/borderline pathology of the allied and supposedly favored parent that involves the formation of a cross-generational parent-child coalition against the targeted parent which incorporates the splitting pathology of the narcissistic/borderline parent that seeks to make the ex-spouse an ex-parent, consistent with the inability of splitting pathology to accommodate ambiguity in relationships. Is it a complicated pathology? Yes, somewhat, on first encounter. But actually it’s so consistent that it becomes relatively simple once it’s understood, because it’s always the same; with only a few very predictable variations on the theme. It only seems complicated to someone who doesn’t know the component pathologies. But the pathology itself is an entirely defined and understood manifestation of family systems pathology, personality disorder pathology, and attachment system pathology. The addition of the “splitting” pathology, which is a distinctive and characteristic feature of both the narcissistic and borderline personality pathology, transfoms the already pathological cross-generational coalition (called a “perverse triangle” by Haley) into a particularly malignant and virulent form in which the child seeks to entirely terminate the targeted parent’s relationship with the child as a means to turn the ex-spouse into an ex-parent, consistent with the polarization and absence of ambiguity characteristic of the splitting pathology. Take particular note of the statement, “because ambivalent affects cannot be experienced simultaneously…” By its very nature, splitting precludes ambivalence. Splitting imposes a polarized certainty onto perceptions of other people that prevents “balanced views” of other people. What happens when we add the splitting pathology of a narcissistic/borderline personality to a cross-generational coalition? When, as a result of the divorce, the former husband become an ex-husband, the pathology of splitting REQUIRES that the ex-husband must also become an ex-father. Ambiguity is impossible. When the former wife becomes an ex-wife, the pathology of splitting REQUIRES that the ex-wife must also become an ex-mother. The splitting pathology of the narcissistic/borderline personality structure “fails to integrate the positive and negative qualities of self and others into cohesive images” and as a result the person’s perceptions of others “alternates between polar opposites.” The ex-husband or ex-wife therefore becomes “exclusively bad, hateful, angry, destructive, rejecting, or worthless,” both as a former spouse and also as a parent. Exclusively bad, hateful, and worthless. Ambivalence and ambiguity are an impossibility for the splitting pathology to experience. The horrible and exclusively bad ex-husband cannot simultaneously be a loving father for the child, the hateful and worthless ex-wife cannot simultaneously be a loving mother. This type of ambiguity and ambivalence is a neurological impossibility for the splitting pathology. When we add the splitting pathology to divorce, the ex-husband must become an ex-father; the ex-wife must become an ex-mother. No other alternative is allowed by the splitting pathology of the narcissistic/borderline personality. This is not me just my making this up. This is the American Psychiatric Association’s definition of the spitting pathology which is a characteristic feature of both narcissistic and borderline personality pathology. I’m not proposing something new. I’m simply pointing out what happens when the spitting pathology of a narcissistic/borderline personality is added to a cross-generational coalition. Note the phrase, “the person of one generation forms a coalition with the person of the other generation… which is against the third person.” This is not me, this is Jay Haley, one of the preeminent figures in professional psychology and family systems therapy, who is defining this construct. Holy cow. Isn’t that EXACTLY what we’re talking about in “parental alienation.” Minuchin’s book was written in 1974. Fully forty years ago. So why are we even talking about this? To ALL mental health professionals out there, please describe for me what happens when the splitting pathology of a narcissistic/borderline personality parent is added to a cross-generational coalition? Answer: The addition of splitting pathology to a cross-generational coalition will create a child-initiated cutoff (Bowen) in the child’s relationship with the targeted parent, as described by Minuchin (1974), thereby turning the ex-husband into an ex-father, the ex-wife into an ex-mother, consistent with the splitting pathology of the parent in the cross-generational coalition. To me this is an absolute no-brainer. It’s a proverbial “duhhhh” moment. It is so incredibly obvious. This is not new. And yet for some unexplainable reason, the pathologies of splitting and the cross-generational coalition are either unknown to many mental health professionals or these professionals are simply too… I don’t know what else to call it but stupid… to add one and one together. Splitting + cross-generational coalition = the child’s rejection of the parent as being “exclusively bad.” Pretty straightforward clinical psychology to me. 1 + 1 = 2. I don’t know what part of that is difficult to understand. So please, don’t ask me if “my theory” has been “peer-reviewed.” First, it’s not “my theory” it is established psychological fact. It’s just that you are too ignorant about what exists to know that. Second, all of the pathology described in an attachment-based model of “parental alienation” has been amply and overwhelmingly peer-reviewed. Again, just because it seems “new” to you does not make it “new,” it just makes you ignorant. Before you ask me if “my theory” is “peer-reviewed” read the existing literature listed in the Reference section of this post and in Chapter 11 of Foundations which deals with Professional Competence. P.S. Peer-review is typically only applied to research studies not theoretical formulations. Theoretical formulations are typically presented in a book format because the material has to be described in greater detail than is allowed in a 10 to 20-page journal article. Satir, Rogers, Adler, Minuchin, Kohut, Kernberg, etc. all present their theoretical models in book format. The “peer-review” of research studies is to ensure the proper research methodology, not theoretical formulations. For example, Satir’s model of humanistic family therapy described in her book Peoplemaking is not “peer-reviewed.” Roger’s model of client-centered therapy in his book On Becoming a Person is not “peer-reviewed.” There is no way I can describe the pathology I discuss in Foundations in a 15-page journal article. That’s an impossibility. So there is no way it can be “peer-reviewed” (it’s such an ignorant question). Peer review is for research studies published in journal articles, not theoretical formulations. Theoretical formulations are published in book format, mental health professionals then read the book and critique its proposals, whether it’s Satir, or Rogers, or Kohut, or Childress. That’s the “peer-review” process for theoretical material. With the publication of Foundations, interest has been expressed about my possibly presenting at a conference in various locations, both nationally and internationally. I want to take a moment to address this topic before returning to the substance of attachment-based “parental alienation” in my future posts. I am willing to talk anywhere, anytime. With regard to standard professional conferences, I will soon be submitting a proposal to the California Psychological Association for a 90-minute seminar at their 2016 convention (submission deadline August 31). I will also be submitting a proposal for the 2016 national conference of the Association of Family and Conciliation Courts (submission deadline 10/2/15). And when the 2016 call for proposals comes from the American Psychological Association I will submit a proposal to them as well. My proposal to the California Psychological Association will be for a seminar on the theoretical foundations and diagnosis of an attachment-based model of “parental alienation,” similar to my seminars delivered through the Masters Lecture Series of California Southern University. These Masters Lecture Series seminars are available online (search terms: California Southern University Childress parental alienation). My proposal to the AFCC will be for a talk on the Single Case ABAB protocol and the Treatment Needs Assessment protocol as alternative assessment and remedy approaches when negative parental influence on the child is alleged. If this seminar proposal is accepted, I’m confident it would be a powerful ground-breaking talk that would impact our approach to assessing and responding to the “parental alienation” pathology within the legal system. But I’m just one lone psychologist working in obscurity in Southern California to change the world. I figure that at some point the accuracy of an attachment-based reformulation of the “parental alienation” construct will reach a tipping point in the consciousness of the professional community so that it receives some attention and can no longer be ignored. At which point, if I’m not 10 years dead, I’ll begin getting invitations to present at these professional conferences. I have also recently submitted an application to PESI (www.pesi.com), a continuing education organization which provides speakers for professional seminars presented across the country. Mental health professionals must acquire a specified number of continuing education credits during each licensing/re-licensing period. Among the things PESI does is arrange speaker tours to various cities to provide seminars offering continuing education credits for mental health professionals. I’m always being asked, “Do you have a referral or know someone who understands an attachment-based model of ‘parental alienation’ in <location>?” I’m sorry but I don’t. If I am sent on a speaking tour, however, this might be one way to train up therapists in your area who are knowledgeable in the assessment, diagnosis, and treatment of attachment-based “parental alienation.” So I thought PESI might offer this opportunity and I submitted my proposal to them to become one of their stable of speakers. We’ll see what happens here as well. If you want to contact PESI and support them taking me into their stable of speakers, their website is www.pesi.com. There have also been feelers extended to me regarding my willingness to travel to various countries for talks. I’ve been contacted by people from England, Australia, France, and South Africa who have all expressed interest in bringing me to their countries for a presentation. Works for me if it works for you. 1.) Generate the interest and focused attention of the professional psychological association and legal association in your country on my talk. For the U.S. these would be the American Psychological Association and American Bar Association. You want them to be aware of my talk, you want their anticipation and attention on my talk, and you want them totally focused on what I’m going to say. My talk will not disappoint them. If you really want to spark the conference into the next level, include Dorcy Pruter discussing the High Road to Family Reunification protocol. She has the treatment intervention nailed. The High Road protocol is a four-day psycho-educational intervention that effectively resolves the child’s symptomatic presentation in a matter of days. The High Road protocol still requires a period of the child’s protective separation from the pathogenic influence of the narcissistic/(borderline) parent. But in the context of a protective separation the High Road protocol will quickly recover the child’s authentic normal-range functioning. I’m a psychologist. In general I would be recommending therapy since that’s what I do. However, in the case of the pathology of attachment-based “parental alienation” I would recommend the High Road protocol of Pruter as the initial intervention. I have reviewed the High Road protocol, I understand how it accomplishes what it does, and if we can recover the authentic child in a matter of days rather than an extended period of three to six months of therapy, why wouldn’t we do that? She has the intervention nailed. However, even after the High Road intervention protocol recovers the authentic child, this recovery will remain fragile for the first six to nine months, so the child and formerly targeted parent will need a period of follow-up relationship therapy to stabilize the child’s recovered authenticity before reintroducing the pathogenic parenting of the narcissistic/(borderline) parent. If you decide to bring me over to present in your country, then I would suggest you arrange to have me provide your child protection social workers with an additional seminar in the days following the primary seminar, focused on their role in assessing the child psychological abuse of attachment-based “parental alienation” (attachment trauma reenactment pathology). The pathology of “parental alienation” is a child protection issue. If you decide to bring Dorcy over (which I would recommend if you can), then I suggest you arrange for her to train four to six interventionists in the High Road protocol to seed this solution in your country. Keep in mind that mental health therapists will make especially BAD interventionists with the High Road protocol. We can’t help ourselves, we try to do therapy. The High Road to Family Reunification protocol is not therapy. That’s why it can achieve in a matter of days what it takes therapy months to accomplish. The High Road protocol is an entirely different type of intervention model. Just follow the structured series of activities in the sequence laid out by the protocol and these psycho-educational activities will restore the normal-range functioning of the child’s brain systems. We can explain how this happens at the conference. I would recommend selecting interventionists who are psychologically healthy former targeted parents (who have no currently active emotional issues that would impair their ability to enact the intervention protocol). Newly graduated therapists may be able to enact the protocol as long as they DON’T try to do therapy. Therapy will activate the child’s grief and guilt and totally undermine the intervention protocol. The High Road intervention is not therapy. Just follow the structured steps of the protocol activities and it will work. Don’t try to improve it or make it “better” or add therapy. It is a set of catalytic interventions that require the proper intervention in the proper sequence to restore the normal-range functioning of the various brain systems. Just follow the steps. If you want me to present somewhere, all I ask is that you cover my expenses. This will include my travel expenses of hotel and airfare as well as the time that I will need to take away from my private practice. Seeing patients in my private practice is how I pay my bills. If you’re going to take me away from my private practice I will be losing money needed to pay my bills, so you’ll need to reimburse me for my lost earned income from my private practice. I’m not seeking to make money off of family tragedy. But neither can I afford to lose money. I have a family to support and bills to pay. If you take me away from my private practice I simply ask that you reimburse me for my lost earned income for the days I’m away from my private practice. If you want to do this conference route, you may want to charge for the conference and provide continuing education credits for mental health professionals and attorneys. This could potentially offset the costs for my travel and lost earned income. Any remaining money would belong to the sponsoring organization. In the United States, some universities have student honor societies, such as Psi Chi for psychology and the student bar association at law schools. I always thought it would be a nice idea if a university’s Psi Chi organization joined with the university law school’s student bar association to host a seminar presentation in an attachment-based model of “parental alienation” – The Interface of Psychology and the Law in High Conflict Divorce: Future Directions. I am working on developing presentations to professional organizations. I am exploring opportunities to provide continuing education seminars around the country to educate mental health professionals through an organization such as PESI. If someone wants to bring me someplace to present, I’d be more than happy to come and talk. All I ask is that you reimburse for my travel expenses and lost earned income from my private practice. If you want to bring me overseas, I would suggest that you plan for a two-day talk. I would strongly recommend you get the focused attention of your professional mental health and legal associations on my talk. I will not disappoint. If I am allowed to present on Saturday and Sunday with the focused attention of the mental health and legal communities on my talk, I am fully confident that “parental alienation” will be solved in your country by Monday morning. Bold words. Here’s why. This checklist lists all of the component constructs of an attachment-based model of “parental alienation.” There is nothing new in an attachment-based model of the pathology. All of the component elements are fully established psychological principles and constructs. All of the component elements are amply supported in the peer-reviewed research literature. There is NOTHING NEW in an attachment-based model of “parental alienation.” It’s important that you let that sink in. The only barrier to the solution is ignorance. This got me thinking, is there some sort of joint legal action these four families could take because of the systemic failure of the mental health system to respond appropriately to the pathology (i.e., attachment trauma reenactment pathology mediated by the narcissistic/borderline personality traits of the parent) by failing to provide an accurate DSM-5 diagnosis of V995.51 Child Psychological Abuse, Confirmed regarding the evident pathology within the family? I immediately thought of the Racketeer Influenced and Corrupt Organizations (RICO) law. I am not an attorney, I am a psychologist. But from where I sit as a psychologist, the mental health professionals surrounding the legal system appear to be completely failing in their duty to protect the child in that they are refusing to make an accurate DSM-5 diagnosis of V995.51 Child Psychological Abuse, Confirmed, which would then lead to taking the appropriate child protection response of separating the child from the psychologically abusive parent in order to resolve the child’s pathology. As a result of their failure to enact their duty to protect, these mental health professionals thereby extend the duration of the pathology into years of ineffective treatment and continuing legal conflict over custody and visitation, all to the financial advantage of the mental health and legal professionals involved. It is a financially lucrative collusion of non-action. If the mental health professionals made an accurate diagnosis of the pathology (i.e., of the trans-generational transmission of attachment trauma pathology mediated by the narcissistic and/or borderline personality traits of the pathogenic parent) then the pathology could likely be resolved within six to nine months with appropriate treatment (involving the child’s protective separation from the pathology of the narcissistic/borderline parent). Instead, and quite surprisingly, the mental health professionals ignore clear indicators regarding the nature of the pathology, thereby extending indefinitely their involvement with treating the continually worsening psychopathology. As a professional clinical psychologist, this inaction and failure to diagnose the pathology is extremely puzzling from a professional standpoint. If an accurate diagnosis is made, we protectively separate the child from the pathology and pathogenic parenting of the narcissistic/borderline parent and resolve the child’s symptoms within six to nine months. By failing to make an accurate diagnosis and by failing to take the appropriate and warranted child protection response, the child is allowed to remain under the pathogenic influence of the parental psychopathology, so that the pathology within the family continues for years and becomes increasingly more severe. But let’s extend this seeming collusion in maintaining the pathology to include the legal professionals surrounding the family law system. The court appointed minor’s counsels make considerable money from the non-resolution of the family pathology. They are essentially in collusion with the mental health professionals by extending the duration of the pathology and the duration of the litigation that results from the mental health professionals’ failure to make an accurate diagnosis of the pathology (i.e., attachment trauma reenactment pathology within the family mediated by the narcissistic/borderline personality traits of the parent) and by not taking the appropriate child protection response of protectively separating the child from the pathology of the narcissistic/borderline parent. But let’s extend this apparent collusion even further, to the child custody evaluators who are then appointed to assess the severe and unresolved family conflict which is being maintained by the failure of treating mental health professionals to provide an accurate diagnosis of the pathology and the collusion of minor’s counsels in not seeking the child’s protective separation from the psychologically abusive pathogenic parenting of the narcissistic/borderline pathology. Child custody evaluations are a pointless and entirely unnecessary addition to resolving the pathology. They are pointless because there is absolutely NO scientific evidence to support the validity of the conclusions and recommendations reached by child custody evaluations. They are unnecessary because they are specifically designed NOT to assess for pathology within the family that would then lead to proper recommendations for resolving the family pathology. There has never been any study conducted to establish the face validity, content validity, construct validity, concurrent validity, convergent validity, discriminant validity, or predictive validity of the conclusions and recommendations of child custody evaluations. In addition, there are no established operational definitions for the two key constructs in child custody evaluations, “parental capacity” and the “best interests of the child.” Without operational definitions for these key and central constructs, child custody evaluations are essentially voodoo assessment with absolutely no scientifically supported validity. I challenge any supporter of child custody evaluations to cite me a single research study demonstrating the validity of the conclusions and recommendations of child custody evaluations or that offers a defined operational definition of “parental capacity” and “best interests” of the child. What’s more (and I find this appalling), child custody evaluators are specifically instructed NOT to identify pathology in the family. That’s right, they are instructed not to identify pathology in the family. “Remember, do not use psychiatric diagnoses because they are often used in pejorative, manipulative ways by the parties and their attorneys. The first sentence is disturbing. But the second sentence sends chills down my spine. The child custody evaluation does not “yield the kind of data… on which to base a psychiatric diagnosis.” So in other words, child custody evaluations entirely MISS personality disorder pathology in the parent that is creating the family conflict and inducing the child’s pathology. Yet despite this glaring oversight in the assessment, they continue to make recommendations. Child custody evaluations are a professional abomination. And I am a conservative “old-school” psychologist. I’m not some radical psychologist. I teach graduate level courses in Assessment and Psychometrics, in Diagnosis and Treatment Planning, in Research Methodology. I was on medical staff at Children’s Hospital of Orange County and served as a clinical supervisor in their APA internship program. I was the Clinical Director for a children’s assessment and treatment center operated under the auspices of Cal Sate University San Bernardino’s Institute of Child Development and Family Relations. I was the Clinical Director for a FEMA/DOJ project to develop a national model for the clinical assessment of juvenile firesetting behavior. I’m a conservative “old-school” psychologist who held my interns’ feet-to-the-fire in justifying their diagnosis and treatment plan. And I am appalled by child custody evaluations. So, in essence, the highly relevant clinical psychopathology of parental narcissistic and borderline personality pathology is not even assessed, and is entirely irrelevant to the conclusions and recommendations of custody evaluations. Are you kidding me? I am professionally astounded. Child custody evaluations are conducted under the auspices of “forensic psychology” (i.e., professional psychology involved with the legal system). From my world of “clinical psychology” (professional psychology involved with diagnosing and treating psychopathology), the narcissistic and/or borderline personality pathology of the parent is directly relevant and is central to the pathology being expressed by the child. To not assess for or diagnose this major parental psychopathology that is driving the child’s induced psychopathology is professionally unconscionable. In my career as a clinical psychologist, I was never aware of just how bad the clinical psychology interpretations contained in child custody reports actually were. I rarely came across a child custody evaluation, and when I did it typically involved a child in the foster care system. However, through my efforts to solve the pathology of “parental alienation” I have increasingly been asked to review child custody evaluations in my role as an expert consultant in clinical psychology involving this form of family pathology. I am deeply disturbed and deeply concerned as a clinical psychologist by the extremely poor level of clinical interpretation and analysis I have found in all of the child custody reports I have reviewed. The clinical interpretation of data in the child custody reports I have reviewed is bad, bad, bad. The pathology is evident in the data of the child custody evaluation, but is not identified and is entirely ignored relative to the conclusions and recommendations reached. It is a stunning degree of professional incompetence. Professional mental health needs to take a serious and deeply critical look at the practice of child custody evaluations. It is a financially lucrative racket that cannot self-regulate because of an inherent financial conflict of interest motivating the continuance of a practice that has absolutely NO scientifically established validity. The issue with child custody evaluations is NOT the means by which data is collected, it is the complete absence of formulated guidelines for how the information is subsequently interpreted. The absence of guidelines for the interpretation of the data essentially means that child custody evaluators are just making up their conclusions and recommendations based on their own highly unreliable and scientifically unsupported beliefs. The collusion of mental health professionals with the surrounding legal professionals in not identifying the psychological child abuse and the parental pathology, when all of these professionals have a financial interest in continuing the family pathology, is essentially a racket which I believe would merit consideration for a RICO lawsuit, particularly against the mental health professionals who should be making an appropriate DSM-5 diagnosis of V995.51 Child Psychological Abuse, Confirmed based on the child’s symptom display. I’m not an attorney. I’m a psychologist. But if there is any help I can offer to an attorney group to support a RICO lawsuit, please let me know. But I’m not getting any younger, so if a legal team wants my help I suggest you get on it relatively soon. Of note is that none of the solutions offered by an attachment-based reformulation of the family pathology traditionally called “parental alienation” are available from a Gardnerian PAS model. The sooner the paradigm shifts from a Gardnerian PAS model to an attachment-based model for the pathology, the sooner we will actualize the solution. The Gardnerian PAS paradigm is actually becoming a significant impediment to achieving the solution. There are two paradigms currently competing for the description of the pathology. Only one model will survive. The other model will become irrelevant. you will soon be asked to declare for a paradigm, either the Gardnerian PAS paradigm that has not produced a solution in 30 years as the dominant model for describing the pathology of “parental alienation,” or for an attachment-based reformulation for the pathology traditionally called “parental alienation” which will provide an immediate solution – overnight. We are going to battle with the citadel of establishment mental health for a change in paradigm. If you publicly declare for the attachment-based reformulation of the pathology, your voice and influence will greatly accelerate the paradigm shift that leads to an immediately actualizable solution. If you withhold your voice, you will slow the pace at which we achieve the solution. The time for sitting on the fence is rapidly coming to an end. 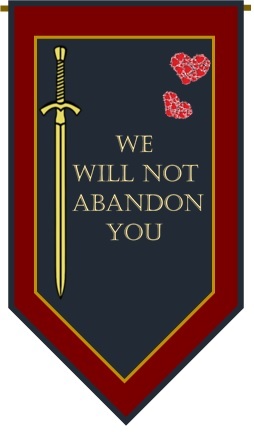 Will you join with us in our battle to recover the children, or will you turn your back and walk away from us, leaving us to fight this battle on our own? I am asking you to join us. Rohrbaugh, J. B. (2008) Comprehensive Guide to Child Custody Evaluations: Mental Health and Legal Perspectives. New York: Springer. I’m Not An Attorney. I’m a Psychologist. The first phrase is – attachment-based “parental alienation” – this refers to the psychopathology described and defined in Foundations. From a clinical psychology perspective, the symptom-set associated with “parental alienation” represents the manifestation of attachment trauma reenactment pathology. This is a technical professional psychology issue, not a general public issue. I will continue to reference the construct of “parental alienation” in most of my discussions of the pathology so as not to disorient the general discussion (although I have obviously added the phrase “attachment-based” to the term “parental alienation” to differentiate the model of the pathology described in Foundations from the prior Gardnerian PAS model – we are shifting paradigms). At the same time I will occasionally slip in the phrase “attachment trauma reenactment pathology” (probably in parentheses) to refer to exactly the same pathology. The pathology is described in Foundations, and I honestly don’t care what we label the pathology for convenience in our discussions of it. I will discuss this shift in terminology more in my Diagnosis book due out in the fall, in which I will propose this label for the pathology relative to future revisions of the DSM diagnostic system. The pathology traditionally called “parental alienation” is a trauma pathogen involving the trans-generational transmission of attachment trauma from the childhood of the allied narcissistic/(borderline) parent to the current family relationships, mediated by the narcissistic/(borderline) personality pathology of this parent (which itself is a product of the childhood attachment trauma). The pathology belongs in the Trauma- and Stress-Related Disorders section of the DSM diagnostic system, with a very similar description as the DSM-IV TR diagnosis of Shared Psychotic Disorder (i.e., a shared delusional belief created within the trauma reenactment narrative). Let me talk to attorneys out there. Creating change in professional mental health can occur through a variety of channels. One channel is through malpractice lawsuits that establish expected standards of practice for all mental health professionals to follow. Tarasoff vs Regents of the University of California. In the Tarasoff case, a therapist’s patient made a threat against an identifiable person who was not in the therapy session. The therapist took action by notifying the campus police regarding the patient’s threat, and the campus police detained the patient for questioning and then released the patient. The patient later went on to murder the target of his threat. The family of the victim filed a lawsuit claiming that the therapist had a “duty to protect” the identified victim by warning the victim of the threat made against her by the patient. The therapist claimed that since the identified target of the threat was not his patient he had no “duty of care” for that person. In addition, the therapist had an established obligation to maintain patient confidentiality and the therapist discharged his duty to protect the potential victim by notifying the campus police of the threat made by the patient. From this landmark case, a standard of practice was immediately established regarding the responsibilities of mental health professionals relative to the treatment of dangerous patients. Because of this case, there are now standard procedures regarding notifying potential victims which mental health professionals are trained in and must take relative to dangerous patients and threats made toward the general public. My question to attorneys is… why couldn’t a similar legal route be used to establish “standard of care” responsibilities regarding the mental health professional’s “duty to protect” the child in cases of the psychological child abuse created by “parental alienation” pathology, in which prominent developmental, personality, and psychiatric symptomatology is being created in the child by the pathogenic parenting of a clearly and severely pathological parent? Doesn’t the mental health professional incur a “duty to protect” the child in these cases? In the case of clearly evident child psychological abuse, why wouldn’t the mental health professional incur “an obligation to use reasonable care to protect the intended victim” of parental abuse by taking “one or more various steps, depending upon the nature of the case”? At the very least, making the appropriate DSM-5 diagnosis of V995.51 Child Psychological Abuse, Confirmed. But an attachment-based model is not proposing a “new syndrome” and has instead defined the pathology called “parental alienation” from entirely within standard and established psychological constructs and principles of the attachment system, personality disorders, and family systems constructs (i.e., attachment trauma reenactment pathology). The construct of “parental alienation” doesn’t exist. Fine. The construct of personality disorders exists. The construct of the attachment system and attachment trauma exists. The construct of the trans-generational transmission of attachment trauma exists; of splitting and role-reversal relationships. These things all exist in the established research literature. When serious parental pathology is responsible for inducing significant developmental, personality, and psychiatric psychopathology in the child through the highly aberrant and distorted parenting practices of a psychologically decompensating and delusional narcissistic/(borderline) parent, which then creates the child’s loss of an affectionally bonded relationship with a normal-range and affectionally available parent, why isn’t this a DSM-5 diagnosis of V995.51 Psychological Child Abuse, Confirmed? The pathology of attachment-based “parental alienation” is child psychological abuse. To argue that it is somehow acceptable for a parent to produce this level of psychopathology in a child is ludicrous. The serious level of psychopathology involved in an attachment-based model of “parental alienation,” as described in Foundations, reasonably represents a DSM-5 diagnosis of V995.51 Child Psychological Abuse, Confirmed. This would seemingly engage a mental health professional’s “duty to protect” the victim of the psychological child abuse. I’m not an attorney, I’m a psychologist. But it seems to me that if a mental health professional failed in this “duty to protect” the child from the clearly evident psychological abuse inflicted on the child by the parent (i.e., the pathogenic parenting that is producing serious psychopathology in the child) that this would seemingly represent malpractice because of the mental health professional’s failure to take “reasonable care to protect” the victim of child abuse (i.e., a failure in the professional’s “duty to protect”). I’m not an attorney, I’m a psychologist, but it seems to me that a malpractice lawsuit may represent a method to create change in the response of the mental health system relative to the pathology of “parental alienation” (based on the definition of the “parental alienation” pathology provided by Foundations). Malpractice is not an available option under the old Gardnerian PAS model because no such thing as “parental alienation” exists. However, by reformulating the construct traditionally called “parental alienation” from entirely within standard and established psychological principles and constructs, an attachment-based model activates professional constructs and standards of practice to which ALL mental health professionals can be held accountable. Personality disorders exist, role-reversal relationships exist, splitting exists, delusions exist, attachment trauma exists, etc. These are established and accepted psychological constructs and principles that can be applied to the pathology, and to which mental health professionals can be held accountable in their assessment, diagnosis, and treatment. The pathology traditionally called “parental alienation” is fully defined and described within standard and established psychological principles and constructs that are an established part of the professional knowledge-base to which ALL mental health professionals can be held accountable (especially if they are diagnosing and treating clients exhibiting these forms of pathology, i.e., attachment trauma pathology, personality disorder processes, family systems disturbances). Within the reformulation and redefinition of the pathology traditionally called “parental alienation,” the issue for mental health professionals becomes one of child psychological abuse being inflicted on the child through the pathogenic parenting practices of a narcissistic/borderline parent by means of a role-reversal relationship in which the parent is inducing significant developmental, personality disorder, and psychiatric pathology in the child in order to meet the emotional and psychological needs of the parent. Furthermore, the severe psychopathology that is being created by the pathogenic parenting of the narcissistic/borderline parent’s psychopathology is directly responsible for the child’s loss of an affectionally bonded relationship with a normal-range and affectionally available parent who would otherwise be available to support the child’s healthy development in response to the other parent’s evident psychopathology, and who could thereby mitigate the severe distortions to the child’s normal-range and healthy emotional and psychological development being created by the pathogenic parenting of the pathological parent. The pathology of attachment-based “parental alienation” elevates the clinical considerations from those of parent-child conflict to prominent child protection concerns. The pathology described within an attachment-based reformulation for the psychological processes traditionally called “parental alienation” (i.e., the trans-generational transmission of attachment trauma from the childhood of the allied and supposedly favored parent to the current family relationships, mediated by the narcissistic and/or borderline personality pathology of the allied parent through the formation of a cross-generational coalition with the child against the other parent), and the severely damaging impact of this pathology on the child’s normal-range emotional and psychological development, reasonably represents child psychological abuse. In cases of child psychological abuse, the mental health professional is obligated to provide an accurate DSM-5 diagnosis of V995.51 Child Psychological Abuse, Confirmed and to take “reasonable” protective actions that are then documented in the patient’s record. Failure to make an accurate diagnosis and to take appropriate steps to protect the child would represent a failure in the mental health professional’s “duty to protect” which would then continue to expose the child to ongoing psychological abuse by the pathogenic parent, and which would lead to the subsequent destruction of the child’s normal-range emotional and psychological development. I am not an attorney. I am a psychologist. I can define the pathology, I cannot speak to the legal issues. But surely there must be attorneys out there among the community of targeted parents who are willing to examine this issue of possible professional malpractice, or else who can enlighten me as to why it is acceptable professional practice to ignore and misdiagnose the psychological abuse of children when this is an established DSM-5 diagnosis. If I was an attorney rather than a psychologist, I might look to form a collaborative legal team of like-minded attorneys, and to then seek to locate a particularly egregious “test case” of professional incompetence and malpractice in the diagnosis and treatment of this pathology, where the psychopathology of the parent was clearly evident yet the mental health professional failed to make the DSM-5 diagnosis of V995.51 Child Psychological Abuse, Confirmed. I wonder what would happen within the citadel of establishment mental health if a malpractice lawsuit was filed against a mental health professional relative to the pathology of “parental alienation” and the mental health professional’s failure in his or her duty to protect? I wonder what would happen if two or three such lawsuits were filed against different mental health professionals in different jurisdictions? I wonder if it might be possible to establish a landmark legal case similar to what was done in Tarasoff for patient dangerousness, only in this case it is the professional’s “duty to protect” relative to child psychological abuse by a clearly pathological parent who is inducing severe developmental, personality, and psychiatric symptoms in the child that devastate the child’s normal-range development? I am not an attorney. I’m a psychologist. I can only define what the pathology is within the standard and established constructs and principles of professional clinical psychology. But from where I sit as a psychologist, the legal issues seemingly parallel those of the Tarasoff ruling that defined the responsibilities for a mental health professional’s “duty to protect” relative to dangerous patients, only in this case it the the mental health professional’s obligations to “use reasonable care to protect” the child from the pathogenic parenting of a psychologically decompensating narcissistic/(borderline) parent. But then, I’m not an attorney, I’m a psychologist. So I may not fully understand the legal issues involved in why it is legally acceptable professional practice to not provide an accurate DSM-5 diagnosis of V995.51 Child Psychological Abuse, Confirmed when the pathogenic parenting practices of a psychologically decompensating narcissistic/(borderline) parent are inducing significant developmental, personality, and psychiatric psychopathology in the child that is destroying the child’s normal-range emotional and psychological development. Maybe there’s something I’m missing. Or maybe not. This approach is NOT available under a Gardnerian paradigm. Because using a Gardnerian model, the construct of “parental alienation” doesn’t exist in professional psychology. Holding mental health professionals accountable only becomes available under an attachment-based reformulation for the construct of “parental alienation” that defines the pathology from entirely within standard and established psychological principles and constructs (i.e., attachment trauma reenactment pathology). Everyone has been lulled to sleep by the years of the Gardnerian model; i.e., that establishment mental health needs to accept a “new syndrome” and that we need to prove Gardnerian PAS in court. No. This is a mental health issue. The vulnerability of the pathogen is in achieving an accurate mental health diagnosis, which means defining the pathology entirely within standard and established psychological principles and constructs. Attack the professional incompetence in the mental health system. But to do so, we need a definition of the pathology from entirely within standard and established constructs and principles to which all mental health professionals can be held accountable. Foundations provides this. The paradigm shift to an attachment-based model redefines EVERYTHING, and opens up entirely new doors to the solution that are unavailable using the Gardnerian PAS paradigm. Standard 2.01: Mental health professionals are prohibited from practicing outside the boundaries of their competence – Q: Is the mental health professional competent in the necessary domains of professional knowledge regarding personality disorders, attachment trauma, and family systems dynamics to competently and accurately assess, diagnose, and treat this type of pathology? Standard 9.01: Mental health professionals must conduct assessments sufficient to substantiate their diagnosis – Q: Did the mental health professional conduct an adequate and sufficient assessment for the potential pathology associated with an attachment trauma reenactment pathology, and did the mental health professional document in the patient record the results of that assessment? Standard 3.04: Mental health professionals are prohibited from actions that harm their clients – Q: Did the mental health professional’s failure to possess the necessary professional competence in the relevant domains of professional psychology and failure to adequately and sufficiently assess the pathology occurring in the family result in a misdiagnosis of the pathology and inappropriate treatment that caused harm to the child and to the targeted parent? Duty to Protect: Did the mental health professional fulfill his or her professional obligation to protect the child from the psychological abuse inflicted on the child by the evident psychopathology and pathogenic parenting of the narcissistic/(borderline) parent? The pathology traditionally termed “parental alienation” is a child protection issue. It is a form of child psychological abuse. Gardnerian PAS cannot make this case. An attachment-based model can. Will the malpractice suit win? I don’t know. As I’ve said, I’m a psychologist, not an attorney. I can only define the pathology. However, from where I sit as a psychologist, I suspect that with the selection of the right “test case” there would probably be an exceedingly good chance of proving that the mental health professional failed in his or her “duty to protect” because of a misdiagnosis of the pathology as a direct consequence of their practicing beyond the boundaries of their competence regarding the pathology described in an attachment-based model of “parental alienation” (attachment trauma reenactment pathology). Possibly a more conservative approach to a lawsuit might be to first file a licensing board complaint and wait for the licensing board to rule that the mental health professional was practicing beyond the boundaries of competence, and then to bring the malpractice lawsuit. But I suspect that with the right test case the legal team may be able to get boundaries of competence (Standard 2.01), inadequate assessment (Standard 9.01), and harm to the client (Standard 3.04) along with failure in the “duty to protect” all in a single case. But I’m not an attorney, I’m a psychologist. The pathology of “parental alienation” is not a child custody issue; it is a child protection issue. Foundations defines the pathology entirely within standard and established psychological constructs and principles. There is no such thing as “parental alienation.” But we’re not talking about “parental alienation.” We’re talking about the trans-generational transmission of attachment-trauma through the formation of a cross-generational coalition of the parent with the child, that is mediated by the narcissistic/(borderline) psychopathology of the allied parent. Call it “parental alienation,” call it “pathogenic parenting,” call it “attachment trauma reenactment pathology.” I don’t care what you label it. Or we can simply use one long paragraph-description each time we refer to the pathology. I don’t care. But no matter what we call it, the pathology as defined in Foundations is definitely child psychological abuse. I am not an attorney. I am a psychologist. But surely there are attorneys out there in the targeted parent community, or their allies, who can put the pieces together. Standards 2.01, 9.01, 3.04 and “duty to protect” – massive damage to the child’s normal-range emotional and psychological development – massive trauma to the normal-range and affectionally available targeted parent – massive professional ignorance and incompetence. I find it hard to believe that you can’t make something out of that? It is time to wake up from the slumber of Gardnerian PAS. An attachment-based reformulation for the pathology traditionally called “parental alienation” empowers you to fight back, to hold mental health professionals accountable for an appropriate assessment of the pathology and for an accurate diagnosis of the pathology. Professional ignorance and incompetence is not allowed by existing standards of professional practice. The theoretical Foundations on which you can stand are rock solid. Bowlby, Beck, Millon, Minuchin, Kernberg… and on and on. Attachment-based “parental alienation,” pathogenic parenting, attachment trauma reenactment pathology… I don’t care what you call it… it is V995.51 Child Psychological Abuse, Confirmed. What we want – what we expect – is that all mental health professionals who are working with this “special population” of children and families possess the appropriate specialized knowledge and expertise necessary and required for professionally competent practice. These domains of professional knowledge are specifically identified in Foundations; expertise in the attachment system; in personality disorders, and in family systems constructs. We want, and we expect, all mental health professionals to make the appropriate and warranted DSM-5 diagnosis of V995.51 Child Psychological Abuse, Confirmed whenever the three diagnostic indicators of the pathology are present in the child’s symptom display (call it attachment-based “parental alienation,” call it pathogenic parenting, call it attachment trauma reenactment pathology). I don’t know these things, I’m not an attorney, I’m a psychologist. What I do know, is that we will not abandon a single child to the pathology of “parental alienation.” It stops. Today. Now. Posted on July 28, 2015 July 28, 2015 Categories Uncategorized10 Comments on I’m Not An Attorney. I’m a Psychologist. I am deeply honored and appreciative of the kind words of support from Ms. Laquidara. Everything I do, I do for the children who are caught in the pathology of “parental alienation,” and reading Dana’s story inspires me once more as to why I’m doing this. This is not a child custody issue, it is a child protection issue. We must rescue the children caught in the pathology of childhood “parental alienation.” This is an imperative of the highest order. While I can empathize with the tragedy, loss, and grief felt by targeted parents, your loss is not my primary concern. My concern is rescuing and protecting the children. While your loss is great and your suffering is deep, you must not wait for someone to rescue you – because your children are waiting for you to rescue them. I understand the barriers you face. Foundations eliminates those barriers. There is nothing standing between you and your children except the ignorance and inertia of establishment mental health. But this is your fight, for your children. It is up to you to rescue them. After reading Ms. Laquidara’s account of her childhood, a fire lit once more for me. This pathology stops. Today. Now. We will NOT abandon one more child to the pathology of the narcissistic/borderline parent. Not one more child. I am so done with mental health ignorance and incompetence that enables, colludes with, and supports the psychological abuse of children by a narcissistic and/or borderline personality disordered parent. Mental health professionals have a professional OBLIGATION to protect children – not collude with and support their psychological abuse by overtly pathological parents. Let me explain something to non-professionals (and to remind professionals)… mental health professionals have two legally binding obligations, called “duties,” the “duty to care” and the “duty to protect.” Failure in either of these legally binding professional duties would represent malpractice. Licensing board complaints are about procedural issues, such as violations of the Ethics Code. The licensing board doesn’t care about whether the diagnosis was accurate or inaccurate, or whether the right treatment was conducted. The licensing board will simply examine whether proper professional standards of practice were followed. Licensing boards are not going to reopen and reexamine details of the case to determine whether the mental health professional made the correct diagnosis or provided the correct treatment. Our argument to the licensing board is that the mental health professional lacked the necessary professional competence based on their prior education, training, and experience to appropriately assess, diagnose, and treat the issues involved with your children and families. We’re not going to re-argue the specifics of your case, we’re going to attack the education and training of the mental health professional in specific areas of professional competence (i.e., the attachment system, personality disorders, and family systems therapy). This is important to understand: licensing boards don’t care if the mental health professional made the correct diagnosis or did the correct treatment based on the details of the case, they just care whether the correct professional standards of practice were followed. Our argument in this regard is that the mental health professional did not possess the proper education, training, and experience to properly assess, diagnose, and treat this “special population” of children and families. Malpractice lawsuits, on the other hand, are different. Malpractice lawsuits do care about what happened. Did the mental health professional get it right? Malpractice lawsuits will look at the details of the case. Was the correct diagnosis made and the correct treatment provided? The upside to licensing board complaints is that they are free to file. The downside is that within the current climate surrounding the construct of “parental alienation” the licensing board is not likely to take action against the license of the mental health professional at this time. That’s okay. One parent files, and another, and another, and another… eventually the licensing board will become exceedingly uncomfortable covering up for the professional incompetence of ignorant mental health professionals. And board complaints are extremely stressful for the mental health professional and they cost you nothing to file. Malpractice lawsuits have the downside that they will require the targeted parent to hire an attorney, so that they can be expensive. The upside is that they are exceedingly dangerous for the mental health practitioner because they do look at what was done; was the correct diagnosis made, was the correct treatment implemented? In addition, there is the added danger for the mental health professional that the malpractice insurance carrier will settle the case prior to trial, resulting in higher insurance rates and a permanent stain on the professional record of the mental health professional. It’s this potential for settlement by the insurance company that makes malpractice lawsuits extremely dangerous for the mental health professional. After reading Ms. Laquidara’s article and consulting recently on several cases of “parental alienation,” I am so done with mental health incompetence that enables, colludes with, and supports the psychological abuse of children by overtly pathological parents. The collusion of mental health professionals with the psychological abuse of children is not only a direct violation of the mental health professional’s “duty to protect,” it is a perversion of it. Instead of protecting the child, the mental health professional is colluding with the abuse of the child. Any mental health professional who, through willfully maintained ignorance or willfully negligent practice, enables, colludes with, and supports the psychological abuse of children, rather than fulfilling his or her professional obligation and “duty to protect” the child, deserves to lose their license to practice. Willfully colluding with child abuse either through willfully maintained ignorance or willful professional negligence is outside the boundaries of responsible professional practice. Ms. Laquidara’s article has lit a fire in me. This is about the children, and this is about preventing child abuse and the destruction of children’s lives. I will therefore do everything in my power to get the professional license revoked of any mental health professional who willfully or negligently enables, colludes with, and supports the psychological abuse of children inflicted on them by an overtly and clearly pathological parent. Mental health professionals have a defined “duty to protect” which is a non-negotiable professional obligation. Willful and negligent failure in the professional’s “duty to protect” is to collude with the abuse of children. For a mental health professional to willfully or negligently collude with child abuse is reprehensible. When you’re in the courtroom being sued by a targeted parent for malpractice, guess who’s going to be the expert consultant for the plaintiff, instructing the plaintiff’s attorney in exactly where your professional vulnerabilities are? That would be me. Do you really want that? And guess who’s going to be reviewing and critiquing, in detail, your chart notes, your assessment procedures, your diagnosis, and your treatment plan? I am. Again, do you really want that? Do you really want me looking into and critiquing your assessment, your diagnosis, and your treatment plan – in detail – with your license on the line for a failure in your “duty to protect”? And guess who is probably going to be writing an exhaustive 50 to 125 page report excoriating your professional practices, the accuracy of your diagnosis, the appropriateness of your treatment plan, and your abject failure in fulfilling your professional “duty to protect” – item by item, detail by detail. Most likely me. And when I do, I’m going to bring the full power of the theoretical material discussed in Foundations – John Bowlby, Aaron Beck, Theodore Millon, Salvador Minuchin, Marsha Linehan, Jay Haley, Peter Fonagy, Otto Kernberg, Alan Sroufe, Edward Tronick, Bessel van der Kolk, Mary Ainsworth, Marinus van Izendoorn, Mary Mains, and the wealth of scientific literature in attachment theory, personality disorders, and family systems theory – down upon your head as the standard of professional competence in assessment, diagnosis, and treatment of this special population. All with one goal… to revoke your license to practice. If you are a mental health professional, who through your willful maintenance of professional ignorance, negligence, and incompetence enables, colludes with, and supports the psychological abuse of children by overtly and clearly pathological parents, I am going to be your worst nightmare. Do you really want that? Do you really want to be sitting in a courtroom being sued for malpractice and have me as the expert consultant for the other side? Do you really want all the power of the theoretical formulations of Foundations and your own professional ignorance being brought down upon you in an excruciating cross-examination by the plaintiff’s attorney? V995.51 Child Psychological Abuse, Confirmed is an established DSM-5 diagnosis. When a DSM-5 diagnosis of V995.51 Child Psychological Abuse, Confirmed is made by a mental health professional, that mental health profession is then required to take appropriate protective actions which they then document in the patient’s record. THAT is the professional standard of practice to which you WILL BE HELD… accountable. Just so you’re fully aware, what you will be required to defend is why you did NOT make the DSM-5 diagnosis of V995.51 Child Psychological Abuse, Confirmed in response to significant and prominent developmental psychopathology (i.e., attachment system suppression), personality pathology (five a priori predicted narcissistic/borderline symptoms in the child’s symptom display), and psychiatric pathology (the presence in the child’s symptoms of a delusional belief and possibly induced phobic anxiety directed toward a parent) in the child’s symptom display that can ONLY be the product of pathogenic parenting by the allied and supposedly “favored” narcissistic/borderline parent (Foundations). But then again, maybe you’ll never have to testify in court, because maybe your malpractice insurance carrier will look at the case against you and decide that it’s in their financial interests simply to settle the case before ever reaching trial. Let’s see, how will that be for you, having a malpractice lawsuit that was settled before trial on your professional record? I am serious as a heart-attack. Mental health collusion with the psychological abuse of children by clearly and overtly pathological parents stops. Today. Now. Mental health professionals have a professional obligation and “duty to protect” which they are expected to fulfill. If mental health professionals think that this pathology doesn’t exist, they can take it up with Dana Laquidara, they can take it up with Ryan Thomas, and they can take it up with me. Because we are DONE abandoning children to the psychopathology of narcissistic and borderline personality parents. Not all post-divorce parent-child conflict is “parental alienation.” The three diagnostic indicators of attachment-based “parental alienation” can reliably and consistently differentiate the pathology of attachment-based “parental alienation” as described in Foundations from ALL other forms of parent-child conflict, including parent-child conflict caused by authentic domestic violence and authentic physical and sexual child abuse. There is NO OTHER pathology that will produce the three diagnostic indicators of attachment-based “parental alienation” other than the psychological processes described in Foundations. We must protect 100% of the children 100% of the time from ALL forms of child abuse, INCLUDING child psychological abuse inflicted by a psychologically unstable and decompensating narcissistic/borderline parent. Professional collusion with child abuse stops. The nightmare of “parental alienation” is solved. It’s just that no one knows it yet. You don’t know it. The citadel of establishment mental health doesn’t know it. The legal system doesn’t know it. The Gardnerians don’t know it. But the solution to “parental alienation” is now available. The second support booklet for Foundations – Professional Consultation – is now available on Amazon.com. You now have the solid bedrock of Foundations on which to stand; you have a structured and defined assessment and remedy protocol you can take to the court, and you have my professional-to-professional consultation to the mental health treatment providers working with your children and family. Foundations: Provides the solid bedrock on which to stand. Professional Consultation: Obtains an accurate mental health assessment and diagnosis. Single-Case ABAB Assessment & Remedy: Offers the court a structured proposal for the remedy (requiring a period of protective separation). Done. The structural framework for the solution is in place, it simply needs to be actualized. I’ll have additional support materials coming in the fall; including my book on Diagnosis as a companion to Foundations, and a second, and even better, court-related approach regarding a Treatment-Needs Assessment protocol. 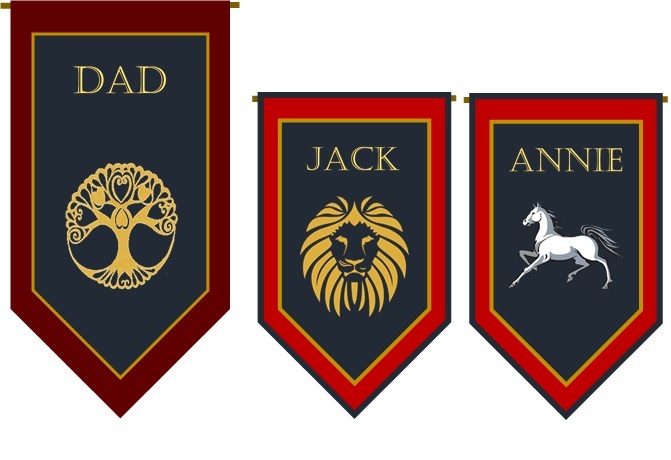 But these will represent improvements. With Professional Consultation, the structural framework for the solution is now in place. Everyone has been lulled by 30 years of Gardnerian PAS into falsely believing that we need the mental health system to “accept something” and that we need to prove “parental alienation” in court. Neither of these premises are true. The construct we have traditionally called “parental alienation” is not some “new syndrome” that requires acceptance. Instead, it is simply a manifestation of established and well-defined psychopathology ALREADY ACCEPTED by the citadel of establishment mental health. We don’t need them to accept anything. We just need them to stop being so incredibly ignorant and, because of their ignorance, so incredibly incompetent. Professional Consultation is a 50-page booklet designed for you to give to the mental health professional involved with your children and family. It is my professional-to-professional consultation with this other mental health professional. I have posted the Introduction to Professional Consultation to my website so you can see the tenor and tone of the book. In the Introduction I alert the mental health professional to the Ethics Code issues to which they will be held accountable. In professional-speak, I am clearly being no-nonsense in getting their attention. The clear implication of the Introduction in professional-speak is that if they don’t attend to what’s in the booklet, they do so at their own peril. We don’t need anyone to accept anything. We just need them to stop being so incredibly ignorant of what they should ALREADY know in order to work with you and your families. Professional practice standards (as defined and mandated by the American Psychological Association in their Ethical Principles of Psychologists and Code of Conduct) do not allow mental health professionals to be ignorant (Standard 2.01a) and do not allow them to hurt you and your family because of their ignorance (Standard 3.04). Professional practice standards also REQUIRE that mental health professionals consult with other mental health professionals “in order to serve their client/patients effectively and appropriately” (Standard 3.09), and professional practice standards REQUIRE that mental health professionals “undertake ongoing efforts to develop and maintain their competence” (Standard 2.03). These are not suggested professional practices, these are REQUIRED professional practices. What Foundations and Professional Consultation do is fully activate all of these professional practice standards for you and your family. If you give them Foundations, the mental health professional is likely to be arrogant and lazy, and so they may not read it. It’s too big. It takes too much effort to learn something. So I intentionally limited the size of Professional Consultation to 50 pages. A little book, not so intimidating, easily digestible. It’s just enough information to put them on notice and hold them accountable. It’s essentially establishing a trail of documentation that we tried to enlighten them regarding their professional obligation to be knowledgeable and competent with this “special population” of children and families. 1.) They will decide that the pathology being expressed in the family is over their head and beyond their competence, and they will decline the case. Good. We have eliminated a “binding site of ignorance” for the pathogen who was poised to collude with the pathology in destroying your relationship with your child. 2.) They will buy Foundations (or perhaps you can ask if they would like you to provide it to them; but based on their request for it), they will then read Foundations, and they will become competent in their assessment and diagnosis. Excellent. As a result of their professional competence, they will provide your child with a DSM-5 diagnosis of V995.51 Child Psychological Abuse, Confirmed regarding the parenting practices of your ex-, which you can then take into court seeking a protective separation (Single-Case ABAB protocol). In addition, the mental health professional will file a Suspected Child Abuse report with Child Protective Services concerning the parenting practices of your ex-. You won’t need to make this report, the mental health professional will make this report. When CPS comes to interview you (or the professional), give them a copy of Professional Consultation. 3.) The mental health professional will decline to be educated but will nevertheless continue to diagnose and treat. Standard 2.01 regarding the requirement to be professionally competent. Standard 3.09 regarding consultation with other mental health professionals. Standard 2.09 regarding maintaining professional competence. Standard 3.04 regarding avoiding harm. If the mental health professional chooses Option 3, he or she does so at their own peril. If they choose to remain ignorant and incompetent and yet nevertheless assess, diagnose, and treat then the full weight of Foundations can be brought to bear to indict them regarding the four Standards of the Ethical Principles and Code of Conduct listed above. If, however, they choose to develop professional competence and do the right thing, conduct the proper assessment (the Diagnostic Checklist) and make the proper DSM-5 diagnosis of V995.51 Child Psychological Abuse, Confirmed when the three diagnostic indicators of attachment-based “parental alienation” are present in the child’s symptom display, then they will have the full weight of Foundations to support them. Their choice. They can defend their diagnosis against Foundations, or they can use Foundations to support their diagnosis. Up to them. With Professional Consultation, all the primary pieces for the solution are now in place. It’s just that no one knows the solution surrounds them. Like the reference to the kingdom of heaven in the Bible, that people will look for it to arrive in some sort of thunder clap of signs to be observed but that instead it is already within our midst, the solution to “parental alienation” has not arrived with a thunderclap, but is already in our midst, and in fact the solution to “parental alienation” has been available all along. It’s just that no one saw it. Everyone was looking to a “new syndrome” and no one bothered to actually define the pathology within already existing, standard and established psychological principles and constructs. The solution has arrived, but no one yet sees it. Not even you. See, it surprises you that I’d say that doesn’t it? Not even you see that the solution ALREADY EXISTS. We don’t need some “new syndrome” of “parental alienation.” The pathology is already fully described within standard and established psychological principles and constructs. Call it “parental alienation,” call it “attachment trauma reenactment pathology,” call it “pathogenic parenting,” call it “Bob” for all I care. The pathology is already defined within the established constructs of attachment theory, personality disorders, and family systems theory. Nothing new. The words “parental alienation” have NO power. An attachment-based reformulation for the construct traditionally called “parental alienation,” on the other hand, as described in Foundations, gives you tremendous power. Because all of the things described in Foundations exist as documented facts within established psychological principles and constructs. The solution has been there all along. This isn’t some sort of “new” pathology. The attachment-based reformulation for the construct traditionally called “parental alienation,” as described in Foundations, provides the solid bedrock on which we can stand and fight, and from out of this solid bedrock of established psychological principles and constructs I have forged for you the sword of your empowerment. There IS the pathology of role-reversal relationships, cross-generational coalitions, personality disorders, the reenactment of childhood attachment trauma, the pathology of splitting and projection. All of these things exist within the accepted and defined constructs of establishment mental health. These things exist. First, nowhere is there a diagnosis of “parental alienation” – because the diagnosis of “parental alienation” doesn’t exist. There is no such thing within establishment mental health as “parental alienation.” “Parental alienation” doesn’t exist. Second, notice the fourth diagnosis; V995.51 Child Psychological Abuse, Confirmed. That exists. And that’s what the construct of “parental alienation” is within standard and established forms of psychological pathology. The pathology traditionally called “parental alienation” is child psychological abuse – confirmed. When the three diagnostic indicators of an attachment-based reformulation and redefinition of the pathology that has traditionally been called “parental alienation” are present in the child’s symptom display, this represents child psychological abuse – confirmed. We do not want, and we are not seeking, a diagnosis of “parental alienation” because no such diagnosis exists within professional psychology. What we are fully expecting, however, is that when the three diagnostic indicators of the pathology described in an attachment-based reformulation for the construct of “parental alienation” are present in the child’s symptom display, that ALL mental health professionals WILL make the DSM-5 diagnosis of V995.51, Child Psychological Abuse, Confirmed regarding the parenting practices of your ex-. We are also expecting that all mental health professionals will file a suspected child abuse protection report with the appropriate child protective services agency. Not you. You won’t be filing this report, because you won’t have to. The mental health professional will be filing this report regarding the “confirmed” psychological abuse of your child by the distorted parenting practices of your ex-. Will CPS do anything? Not just yet, not today. Because they’re still ignorant. But once they become knowledgeable and competent, they too will confirm child psychological abuse by your ex- when the three diagnostic indicators of attachment-based “parental alienation” are present in the child’s symptom display. When you meet with the investigator, give them a copy of Professional Consultation. Ultimately, we may not even need to get the court to order a protective separation of your child from the pathology of your ex-, CPS will do it based on a report filed with them by the mental health professional. That’s the goal. By defining the construct of “parental alienation” from entirely within standard and established psychological principles and constructs, Foundations activates Standards 2.01a and 3.04 of the Ethical Principles of Psychologists and Code of Conduct of the American Psychological Association. You can now hold mental health professionals… accountable. The weapon I have forged for you is Foundations. This book empowers you. Our goal is to require professional competence. Give Professional Consultation to the mental health professional. Alert them. Invite them into knowledge. But if they defiantly choose to remain ignorant, and because of this ignorance they wind up hurting you and your children… well, they’re not allowed to do that based on the established Ethical Principles of Psychologists and Code of Conduct of the American Psychological Association. Q: What about Master’s level professionals who aren’t psychologists, are they covered by the same Standards? A: No, they have their own professional ethics codes, but they all say pretty much the same thing. Mental health professionals are not allowed to be incompetent, and we’re not allowed to harm our clients because of our ignorance and incompetence. It’s not allowed. Parental alienation is solved. It’s just that no one knows it yet. But perhaps you’re beginning to see it. If you still think there’s something called “parental alienation” then you’re still trapped in the old mindset. Notice I always put quote marks around the term “parental alienation.” There is NO DSM-5 diagnosis of “parental alienation.” The construct of “parental alienation” does not exist in establishment mental health. But we’re not seeking a diagnosis of “parental alienation” – we’re seeking a DSM-5 diagnosis of V995.51 Child Psychological Abuse, Confirmed. Is the window of the solution beginning to open for you? Are you beginning to see the path? Foundations establishes the solid professional bedrock on which we stand. Professional Consultation activates the already existing Standards of professional practice. What we’re seeking from ALL mental health professionals is an appropriate assessment of the pathology (i.e., the Diagnostic Checklist) and, when the three diagnostic indicators are present in the child’s symptom display, then we want ALL mental health professionals to provide the DSM-5 diagnosis of V995.51 Child Psychological Abuse, Confirmed (and to file a suspected child abuse report with Child Protective Services). Then we take this confirmed DSM-5 diagnosis into the legal system (and ultimately into the Child Protective Services system) to obtain the protective separation that’s needed to restore your child’s authenticity. Perhaps through the Single Case ABAB protocol, or perhaps through the Treatment Needs Assessment that’s coming in the fall along with the book Diagnosis. First mental health, then the legal system. There will be a lot of inertia and ignorance in mental health that won’t do anything (think Jabba the Hutt). But we will be relentless. The professional bedrock of Foundations is solid. You have a right under Standard 2.01 to expect and receive professionally capable and competent assessment, diagnosis, and treatment for your children and your families. This is not suggested professional practice, it is required professional practice under Standard 2.01. Because when we define what parnetal alienation is within standard and established psychological principles and constructs, that’s exactly what it is, child psychological abuse… confirmed. With the permission of parents who are targeted by the pathology of “parental alienation,” I’m going to start referring to you as the child’s “authentic parent” rather than “targeted parent.” A mother of former alienation recently shared with me an insight she had that the term “targeted parent” subtly identified her as the victim. The first of these booklets is intended to support parents in their efforts within the legal system to obtain a protective separation of their children from the pathogenic parenting of the narcissistic/(borderline) parent. The second booklet, due out in less that two weeks, is to use in your efforts to obtain professional competence from mental health professionals involved with your children and families. This booklet represents my professional-to-professional consultation with these mental health professionals. I will discuss this second booklet in an upcoming blog post. Even as we engage the battle for establishment mental health, I’m already working on the legal side of things. We are still a ways off from being able to solve the legal side, but I am turning my attention to this battle as well since I know so many of you are trying to solve the pathology of “parental alienation” today, this moment, and need all the help you can muster in your current battle. I’ll do what I can. The Single Case ABAB Assessment and Remedy protocol is a booklet designed for your attorneys (or for you if you’re representing yourself pro se) to give to the judge as a proposal for either assessing for possible “negative parental influence” (i.e., “parental alienation”) or as a remedy if it is determined that “parental alienation” is present. Before we can ask your child to reveal the child’s authentic love for you, we must first be able to protect the child from the pathology of the narcissistic/(borderline) parent. Only the Court has the power to order the child’s protective separation from the pathology of the narcissistic/(borderline) parent during the active phase of the child’s treatment and recovery. So we must be able to obtain a Court-ordered protective separation of the child from the pathology of the narcissistic/(borderline) parent. To accomplish this on a regular basis will require mental health as your staunch ally, so our first battle is to cleanse the mental health system of its infection by the pathogen, so that we can activate the necessary response from the mental health system (i.e., a consistent DSM-5 diagnosis of V995.51 Child Psychological Abuse, Confirmed when the three diagnostic indicators of attachment-based “parental alienation” are present in the child’s symptom display). But until we are able to achieve mental health as your ally, you still need solutions that you can actualize today. The Single Case ABAB Assessment and Remedy protocol offers one possible solution for obtaining the necessary Court-ordered protective separation needed to recover and restore your child’s authenticity. The Single Case ABAB protocol uses a standard research protocol called a “single-case” research design that is used frequently in mental health research with only a single child (i.e., a single case). The single-case design involves systematically collecting data through a series of structured phases. What I’ve done is apply this standard type of research methodology (i.e., a single-case ABAB reversal design) to the assessment of “parental alienation” for the Court. Up on my website, near the top, is a Chart from the book that briefly summarizes the phases of the protocol. “Assessing the cause of parent-child conflict following divorce can be a complex undertaking, especially in the context of allegations that one parent is exercising negative parental influence on the child that undermines the child’s relationship with the other parent. While securing testimony is one way to evaluate the cause of parent-child conflict and allegations of negative parental influence, a more scientifically-based approach offers an alternative solution. Single-case research designs are an established scientific methodology for determining causality as well as treatment efficacy. A single-case ABAB reversal design is considered the best scientifically-based research methodology for determining causality with individual children and individual situations (i.e., a single case). Be aware, the Single-Case Assessment and Remedy protocol requires the High Road to Family Reunification intervention of Dorcy Pruter and it requires the appointment by the Court of a “supervising clinician” to oversee the implementation of the protocol, so these may be hurdles for you to overcome at this point in time. But I have reviewed the High Road protocol and it will absolutely restore the authentic child in a matter of days. I don’t care how symptomatic they currently are. One of the reasons the High Road protocol can do this is because it is NOT therapy. It’s a totally different type of intervention (a “catalytic” intervention rather than a “healing” intervention). Right now the availability of this protocol is through Dorcy Pruter, but as Dorcy gets interventionists trained-up across the country this barrier will begin to dissolve. We’ll only need a couple of trained interventionists in every region of the county. Because it’s an intensive 4-day psycho-educational intervention, it can be conducted at a hotel in one of the conference rooms, so that a regional interventionist could realistically cover an entire geographic area. Another thing is that therapists will be particularly BAD at administering the psycho-educational High Road protocol. Therapists can’t help using healing interventions of bringing up the past and talking about feelings. This is exactly the wrong thing to do with the High Road protocol. The trained interventionist simply needs to follow the steps of the protocol, no improvisation, not trying to add something to “make it better.” Just follow the instructions and follow the steps. The protocol will work all by itself. Mental health therapists, however, will have a hard time with this. We can’t help ourselves. We want to heal. But the High Road protocol isn’t using healing therapeutic interventions, it’s using step-wise catalytic interventions that restore an authentic brain. Once the child’s various brain systems are back up and functional, the problem’s solved. We don’t’ need to do psychological archeology of dredging up past conflicts and talking about feelings. That’s actually counter-productive because it activates latent grief and guilt in the child. That’s one of many things that make the High Road protocol so effective, it DOESN’T do psychological archeology. It uses an entirely different approach of restoring an authentic brain. Once the child’s various brain systems (e.g., empathy, attachment, cognitive interpretation, social communication) are functioning authentically and normally, the pathology goes away. The pathology is present because the child’s various brain systems are being distorted by the pathogenic influence of the narcissistic/(borderline) parent. Separate the child from the pathogenic influence of the narcissistic/(borderline) parent. Restore the normal-range and authentic functioning of the child’s various brain systems. Hopefully you know by now that I am direct and forthright in what I say. I took on ineffective “reunification therapy” in On Unicorns, the Tooth Fairy, and Reunification Therapy, comparing current “reunification therapy” to a snake oil remedy of unknown and unreliable content. I took on Child Custody Evaluations, highlighting the complete absence of scientifically established validity for the interpretations and recommendations contained in these evaluations, and comparing the practice of child custody evaluations to “voodoo assessment.” I even spoke directly and forthrightly to you, the child’s authentic parent, in Stark Reality, where I told you that we cannot restore your child’s authenticity until you are first able to protect your child. Hopefully, you realize that I will speak directly. So it should hearten you to hear me say that I have reviewed the High Road protocol, I completely understand what it’s doing and how it works, and it will restore your child’s authenticity in a matter of days (with a protective separation in place). Dorcy Pruter has the intervention in her hip pocket once we’re able to get the Court to order a protective separation of your child from the pathology of the narcissistic/(borderline) parent. In order to get the Court to order a protective separation we will need mental health to be your ally and to consistently provide the correct and accurate DSM-5 diagnosis of V995.51 Child Psychological Abuse, Confirmed when the three diagnostic indicators of attachment-based “parental alienation” (Childress, 2015) are present in the child’s symptom display. In order to get mental health as your ally in accurately and correctly diagnosing the pathology of attachment-based “parental alienation,” we must cleanse the mental health system of its current infection by the pathogen which is disabling the mental health response to the pathology. View my YouTube videos on Empowerment. Once mental health consistently provides the correct and accurate DSM-5 diagnosis of the pathology as V995.51 Child Psychological Abuse, Confirmed, we can then take this confirmed mental health diagnosis into the legal system (and into the Child Protective Services system) to obtain the necessary protective separation of the child from the pathogenic parenting of the narcissistic/borderline parent. Then, when we reach this point, we’ll be able to quickly restore your authentic child. But first things first. First mental health, then the legal system, then we can recover your child’s authenticity. “Parental alienation” is not a child custody issue, it is a child protection issue. We must first be able to protect the child. Only then can we restore the child’s authenticity. But in the meantime, as we move relentlessly toward the solution for all families and all children, many of you struggle to find a solution today, amidst the broken mental health and legal systems that surround you. For all of you who are struggling in the current reality of the broken mental health and legal systems, the Single Case ABAB Assessment and Remedy protocol MAY be able to help. It gives you something concrete to request from the Court, without having to prove “parental alienation” in an exceedingly expensive and difficult trial. The Single Case ABAB protocol is an assessment protocol that can determine if the cause of the child’s excessive hostility, excessive anxiety, and rejection of a normal-range and affectionally available parent is the result of “negative parental influence” (i.e., “parental alienation”) by the allied and supposedly favored parent. The Single Case ABAB protocol offers the Court an evidence-based approach to determining the cause of the family conflict. The Single Case ABAB protocol offers the Court an evidence-based alternative to seeking a costly and time consuming child custody evaluation that has no scientific support for the conclusions and recommendations reached. In as little as 10-12 weeks overall, and potentially only four to six weeks of protective separation (perhaps longer in some cases, depending on individual circumstances), the Single Case ABAB protocol can provide the Court with definitive empirically-based answers. The Single Case ABAB protocol can be submitted by your attorney as either an Assessment protocol if there are questions about whether “parental alienation” is the cause, or as a Remedy protocol if “parental alienation” is identified and the question is what to do about it. And… the Single Case ABAB protocol provides an instrument that can be submitted as either an Assessment or Remedy intervention by you, the child’s authentic parent, when you can’t afford legal representation and are representing yourself pro se (caveat: mind you, I am a psychologist, not an attorney, and I can’t and don’t offer legal advice. I am discussing a possible psychological intervention). Will the Court order the Single Case ABAB protocol? I don’t know. I do know that the judge can’t accept it if you don’t request it. If nothing else, at least you will be educating the Court regarding an attachment-based model of “parental alienation.” Maybe the judge will read the ABAB protocol and will become curious enough to read Foundations. Wouldn’t that be wonderful, judges who understand the pathology. Can you ask the judge to read Foundations? No. Can you or your attorney submit the Single Case ABAB Assessment and Remedy protocol to the judge as a proposed assessment or proposed remedy. Absolutely. Might this help educate the judge? We can only hope. For some of you, the Single Case ABAB protocol may represent a current hope. At the very least you would be acquainting the Court regarding an attachment-based model of “parental alienation” and giving the judge an alternative (and Dorcy will travel). Our current fight is to obtain mental health as your ally. Once we have mental health as your ally we will turn to the legal system. Until we solve “parental alienation” for all children and all families, there will be no solution in your particular family. But I know how precious your children are to you, and I know how anxious you are for a solution. As we move relentlessly toward the solution, the Single Case ABAB protocol may be of help to some of you. I am doing everything I can to get solutions out to you as soon as possible in case they might be helpful for some of you now. This 50-page booklet is what you can give to mental health professionals. It is my professional consultation to them. If you give the mental health professional Foundations they may or may not read it (likely they won’t) . Professional Consultation is the booklet I’ve written specifically for you to give mental health professionals. It will be available on Amazon.com in less than two weeks. I am serious. 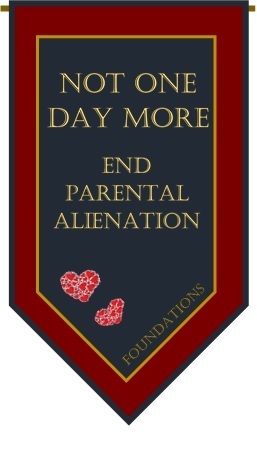 We will not tolerate for one day more the loss of your children to the pathology of “parental alienation.” The pathology of “parental alienation” ends today. Now. We are moving relentless toward the solution. If there are five of us on the battlefield, then it will take us longer to get there, but make no mistake, we will achieve the solution. If there are hundreds of us on the battlefield, we are stronger; if there are thousands of us on the battlefield we are stronger still. The question is not whether we will achieve a solution to “parental alienation,” the only question is how soon.